Aadhaar ecosystem is a network of tight knit agencies supporting UIDAI for enrolment & authentication. 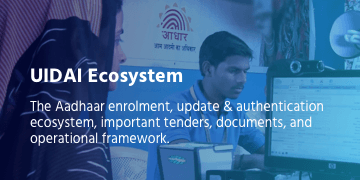 Support agencies & bodies that support UIDAI with enrolment and update of Aadhaar make up the enrolment ecosystem. Supporting Documents related to Enrolment and Update ecosystem partners. UIDAI’s authentication ecosystem is comprised of service agencies & requesting entities that ensure facilitation of authentication activities. 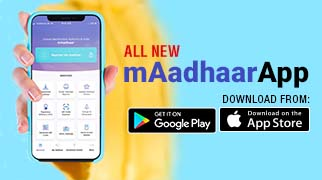 Devices which collect personal information from Aadhaar holders, prepare and transmit this for authentication. UIDAI prescribed training, testing & certification mechanism to ensure individuals are adhering to quality standards.